Trooper Zach Lenderman found 9 ounces of marijuana seeds and a load of drug paraphernalia. Speeding With Dope in Car Lands 2 in Jail, BLANCHARD, August 6, 2015 - At approximately 1:30 pm on August 5, 2015, Trooper Zach Lendernan with the Texas Highway Patrol was patrolling in the vicinity of Blanchard when he stopped a vehicle on Mangum Road for speeding. During the process of the traffic stop, Trooper Lenderman observed the passenger throw an open beer can out the window. When Lenderman spoke to the driver, David Michael Love, 47, of Onalaska, he noticed that Love was acting nervous. Trooper Lenderman asked Love, and his passenger, Patrick Anthony Myrold, 26, of Onalaska to step out of the vehicle. 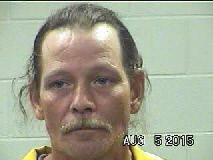 When Lenderman ran their driver's licenses, he found that Myrold had felony warrants for his arrest out of Polk County. By now, Lenderman was joined by Deputy Cody Hardy with the Polk County Sheriff's Office. Patrick Myrold was cuffed and detained. Love gave Lenderman consent to search the vehicle. During the vehicle search, Lenderman found decorative cookie tins filled with drug paraphernalia including different pipes for smoking dope, scales, marijuana grinder, and baggies. As the search continued, Lenderman found more drug paraphernalia, then he located a metal box filled with marijuana seeds portioned into baggies. David Love was placed under arrest for felony possession of marijuana, and was also cited for driving with an expired driver's license and no insurance. 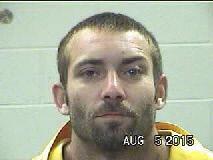 Patrick Myrold was placed under arrest for his felony warrants and was cited for open container and littering. Love's vehicle was recovered by Ken's Towing and stored at Pollock's Body Shop in Livingston. ...and a load of drug paraphernalia.